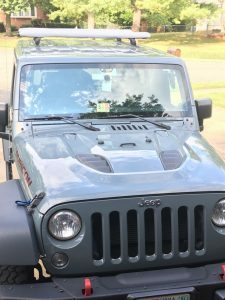 54 inch full length roof rack pads for full sized Jeeps, SUVs, cars and vans. Full length roof rack pads are the ideal solution for transporting multiple surfboards, SUPs, windsurf boards, kayaks and or canoes. Simply place your cargo anywhere on the rack pads, strap down your gear and away you go! 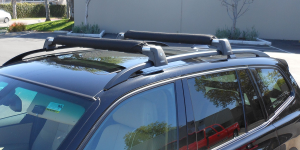 We offer our extra long roof rack pads in non fade black and light gray (as pictured above). Additionally we make these rack pads in AERO style round roof rack pads (1/2 inch foam, designed to fit flat, wider and thinner car factory cross bar racks that are 2″ to 2.875″ wide) and REGULAR style round roof rack pads (3/4 inch foam, designed to fit round or square aftermarket cross bar racks that are 1″ to 2″ wide, i.e. Yakima, Thule). 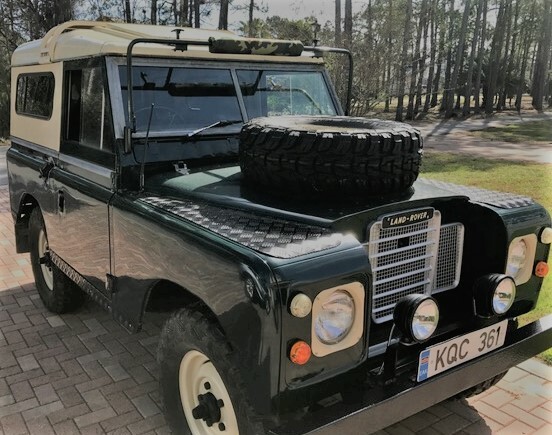 Also offered are a complete size range of car rack pads and tie down straps starting with 18 inch roof rack pads, perfect for surfboard rack pads. And 27 inch roof rack pads suitable for SUP crossbar pads and windsurf board rack pads. 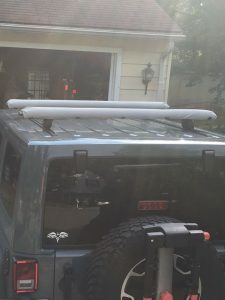 Lastly, 36 inch roof rack pads ideal for kayak rack pads, canoe roof rack pads and extra wide SUPs. Additionally we make stock truck roof rack pads in 27 inch and 36 inch lengths. These rack pads are perfect for surfboard truck racks, SUP truck racks, kayak truck rack and canoe truck racks. 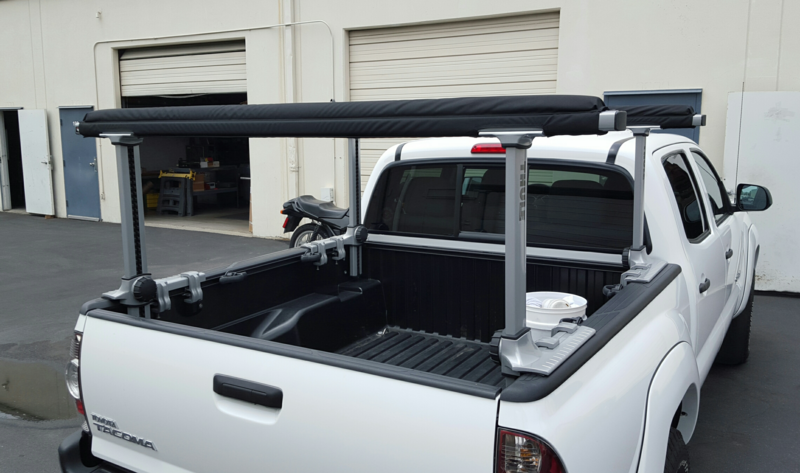 Our WIDE truck rack pads are tailor-made for Thule truck racks, TracRac truck racks and Nissan Xterra roof racks. 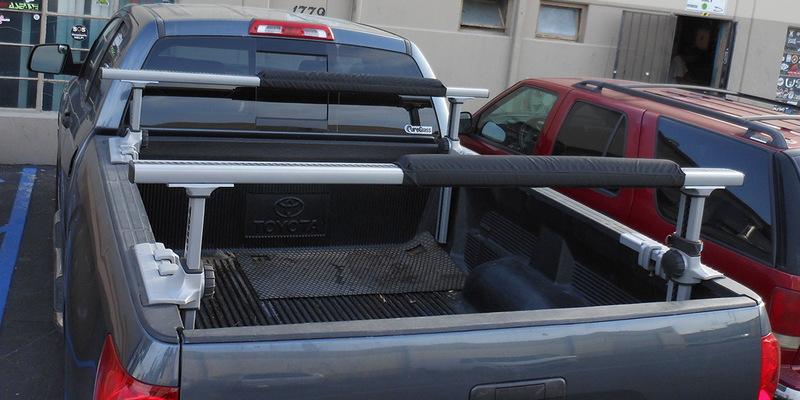 Furthermore we can make our truck rack pads in custom lengths to cover the entire length of the crossbar with notched out sections for the upright support posts as pictured above. 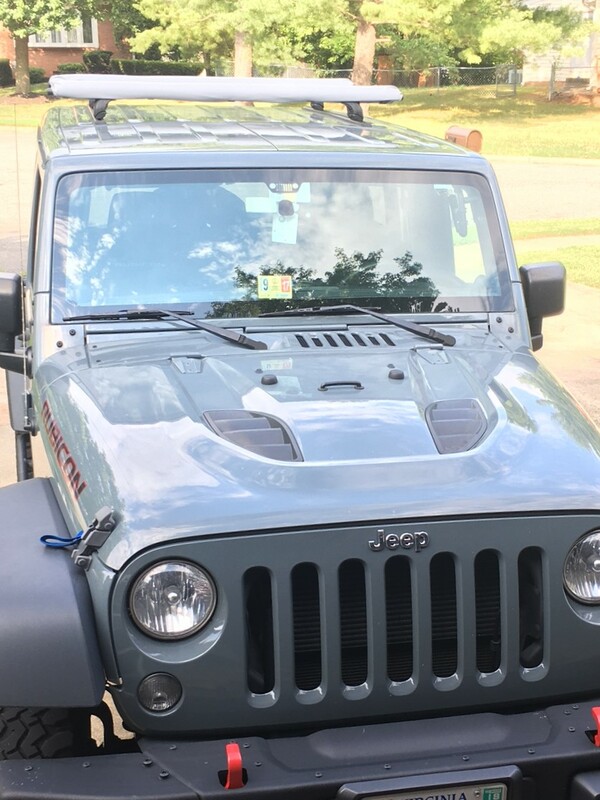 Additionally we can make our car rack pads, SUV roof rack pads, Jeep rack pads and van roof rack pads in custom length sizes as pictured above. Please email us at contact@vitaminblue.com or call 949.645.4592 for your custom roof rack pad quote.